A prediction from Gartner caught my eye recently – preeminent analysts reckon that, by 2017, web-scale IT will be an architectural approach found operating in 50% of global enterprises. That’s a leap from less than 10% in 2013. This is a bold and aggressive prediction that will have far-reaching impact on the industry if it comes to pass. While the concept of web-scale IT might be easy enough to fathom, it is hardly a phrase in common parlance. So, how will the predicted jump in the application of this relatively new “architectural approach” happen? The term web-scale IT conjures the image of large datacentres that are custom-built to deal with the unique demands of deploying and running modern web applications by companies such as Amazon, Google and Facebook. The origin of the term is indeed rooted in the transformational approach to IT, developed by companies providing web and public cloud services to transcend the limitations imposed by traditional three-tier architectures. Web-scale IT encompasses both new infrastructure models based on commodity hardware and intelligent distributed software, along with more agile organisations and processes to achieve unprecedented scalability, agility and ease of management. But now, web-scale aspirations are no longer the sole preserve of these big cloud service providers. Other companies, faced with the challenges and limitations of traditional infrastructure, are drawn to the benefits of web-scale IT and are exploring ways to embrace it. And not just to support private and hybrid cloud systems, but to provide a more scalable and agile platform for ERP systems, HR and other business-critical applications. The benefits of web-scale IT and web-scale infrastructure are relevant to businesses regardless of size. It is these aspirations that Gartner is looking to quantify in its 50% prediction for global enterprise adoption, and it is why it is saying it could happen quickly. For many smaller organisations, scalability is far less of a lure since they will never have to deal with the same scale of infrastructure and operations as Google or Facebook. Web-scale IT, however, is also about the promise of a much more agile infrastructure that is able to react rapidly to fluctuations in demand. Moreover, it is about reduced cost of ownership through the delivery of an inherently redundant and much more robust infrastructure that delivers simpler unified management, process automation and other good things. Another big push for web-scale IT comes from consumers of IT services. Many enterprise users are accustomed to the instant availability and ease of use afforded them by big public service vendors, and are coming to expect the same from their in-house IT. Now we know a bit about what web-scale IT is supposed to deliver in terms of benefits, and a little about why Gartner is making such a bold prediction regarding its adoption. But there is still the little matter of how companies should go about turning a conventional data centre into one that embraces the web-scale ethos. Web-scale IT is not just about infrastructure architecture. It also encompasses organisational structure and processes. Web-scale environments are run by highly collaborative teams without rigid organisational boundaries. Web-scale data centres also typically use the Web Operations (WebOps) methodology for application development, which is radically different from traditional IT. A complete transformation to web-scale IT, therefore, involves not just adopting a different approach to infrastructure, but also hiring and training for different skill sets and embracing agile processes. Many companies balk at the idea of such widespread change in their core IT because of the risk and potential for disruption, and also because they do not see a compelling need to do so. But the move to web-scale IT need not be undertaken all at once across the entire organisation. For instance, some companies are already starting to adopt web-scale IT for systems of differentiation and innovation, such as Big Data and new business applications, while still using traditional IT approaches for their systems of record. Meanwhile, other organisations are adopting web-scale principles and technologies in their infrastructure, while taking a more gradual approach to evolving their organisations and processes. This allows them to bring their organisation along to the future while minimising the risk involved in large-scale transformation. The gradual move to web-scale IT starts with infrastructure based on web-scale principles and architecture. Here again, companies have two approaches available to them. As Gartner points out, several readily available open-source software technologies allow businesses to use commodity hardware and software-based intelligence to build highly resilient, scalable infrastructure. These open-source technologies allow enterprises to forego rigid proprietary solutions in favour of inexpensive, highly configurable options. However, this do-it-yourself approach requires enterprise IT to not only hire resources that can effectively assemble and configure systems, but also assume the risk and responsibility of maintaining the deployed infrastructure in the years to come. In smaller companies in particular, these resources are likely to be in scarce supply. Companies that want to go this route need to either plan for hiring quickly, or enlist professional services to help with infrastructure management. A second approach to bringing web-scale infrastructure principles is now emerging in the industry. This approach is based on turnkey infrastructure appliances that incorporate core web-scale principles and technologies in pre-integrated software running on commodity hardware. These appliances can be delivered ready to simply plug into data centre racks and start working. So, need more compute power? Just add another appliance. Want more storage? Add another appliance and, through the power of software, they will all just join and work together. Both these approaches to web-scale infrastructure are suitable for different needs, and there is certainly no shortage of vendors, each with their own particular take on what ought to be involved in the building of a web-scale infrastructure solution. But that is good, as no one solution is ever going to fit all, and there are lots of different ways of skinning this particular cat. Awareness of web-scale IT is also growing, but whether Gartner’s prediction of 50% adoption by 2017 is realised or not is up for debate. 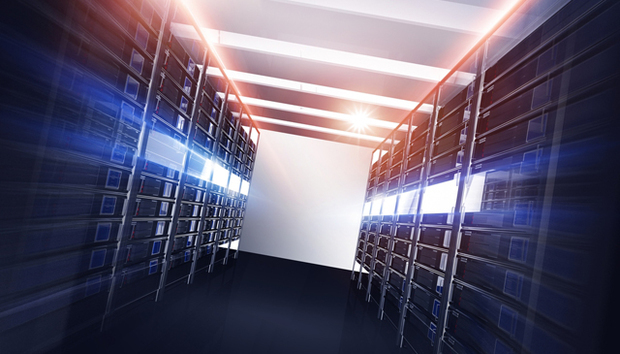 Even if it does not happen that soon, web-scale IT will surely play a big part in future datacentre developments, and it will be interesting to see exactly which approaches companies take, what products they go for and how it all pans out in the end.